If you are looking to restore a more healthy and youthful appearance to your face, Restylane Lyft may be the perfect solution. 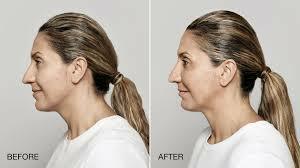 Restylane Lyft can replace lost volume and restore youthful contours to the skin, while smoothing away moderate to severe facial wrinkles and folds. The material is made from hyaluronic acid, which is a chemical that is naturally produced by the human body. Hyaluronic acid helps to keep your skin moist, plump and elastic. But as you age, less of it is naturally produced. This is where Restylane Lyft can be used to replenish this moisture and elasticity, while creating firmness in the skin and returning it to its younger state. What areas can be treated by Restylane Lyft? Restylane Lyft can treat a number of areas on the face, including those around the nose and mouth, such as nasolabial folds, marionette lines, and smile lines. It can also be used to create more volume and a plumper look on hollow areas of the skin, such as the cheeks and lips. Whatever area you wish to treat, Restylane Lyft are sure to create the natural, beautiful look you want. Best of all, as a cosmetic dermal filler Restylane Lyft is a non-surgical treatments. They are minimally invasive, and offer fast treatment times that are typically around 30 minutes for most of our patients. There is a recovery time of less than 7 days, in which you may experience swelling, redness, and bruising. Once the procedure has been completed, the results that occur will typically last for at least nine months in the majority of patients. 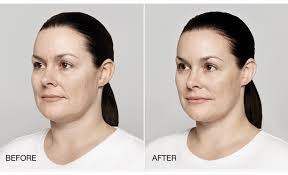 Restylane Lyft is a cosmetic dermal filler that replaces lost volume and restore youthful contours to the skin to smooth away moderate to severe facial wrinkles and folds. 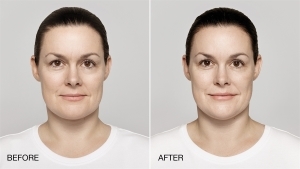 Area Treated - Restylane Lyft corrects moderate to severe facial wrinkles and folds such as around the nose and mouth, including nasolabial folds, marionette lines and smile lines. We also treat the cheeks and other hollow areas of the skin to create more volume and a plumper, more youthful look. Results - Restylane Lyft will last at least nine months in a majority of patients. Recovery Time - After your treatment, you might have some swelling, redness and bruising. This will normally last less than seven days. If you are interested in seeing whether Restylane Lyft can help you achieve your cosmetic goals, set up a visit with a Burbank Cosmetic Dermatologist at our office today. We will listen to your concerns and help you set up an individualized treatment plan that may include one or more different types of anti-aging treatments. At our office, we are known for helping our patients bring out their inner beauty to the surface. Call for a free consultation* with one of our Burbank skin care nurses today.